ISPs are still investing in infrastructure in spite of the FCC's net neutrality rules. 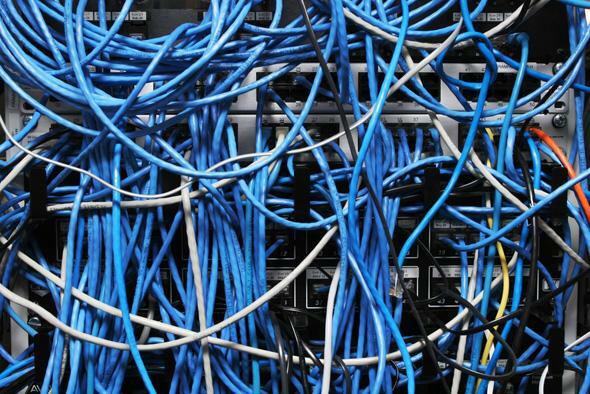 Internet Providers Said Net Neutrality Rules Would Ruin Everything. Let’s Check in on That. The telecom industry has long maintained that it supports free and open Internet and wants to protect net neutrality. But when President Obama came out in support of reclassifying broadband as a utility under Title II of the Telecommunications Act and the FCC planned a vote on proposed reclassification rules, Internet service providers (ISPs) had to draw the line. It’s been almost three months since the FCC voted in favor of Title II reclassification, so things should be falling apart by now, right? But it seems that the new rules haven’t been as big of a deterrent as ISPs said they would be. BGR points to a CNBC interview AT&T CEO Randall Stephenson did on Monday. He said, “We’re going to invest around $18 billion this year. That will allow us to deploy a wireless broadband solution to 13 million homes around the U.S.” Yeah, sounds brutal. Stephenson wasn’t completely ignoring the Title II debate, though. He said AT&T is confident that the courts will strike down the new regulation, and that’s why the company is comfortable moving forward with infrastructure investment. AT&T did cut infrastructure spending in November 2014 after Obama’s net neutrality statement. But the company is less adversarial now, either because its confidence in litigation is well-founded or because it secretly knows that Title II won’t be the end of its profits. After all, any company that also offers landline phone service (like AT&T) is already familiar with operating under Title II regulation. Verizon CFO Francis Shammo addressed this, perhaps with more candor than he intended, at the UBS Annual Global Media and Communications Conference in December 2014. “This does not influence the way we invest. We’re going to continue to invest in our networks and our platforms, both in Wireless and Wireline FiOS where we need to,” Shammo said. “I mean if you think about it … we were born out of a highly regulated company, so we know how this operates.” The man makes a good point! When Verizon announced first-quarter earnings in April, it said that it was working to migrate customers from the copper network to fiber (presumably for both DSL Internet and phone service). Forty-seven thousand users switched during the quarter, and the 2015 goal is to transition a total of 200,000 customers. Verizon is also purchasing AOL for about $4.4 billion. Though the deal has more to do with digital content than physical infrastructure, it shows that Verizon doesn’t seem to be anticipating a lean year. Meanwhile, Comcast announced in April that it is moving forward with rolling out 2 gigabit–per-second connectivity for 1.5 million customers in Atlanta. The Title II debate certainly isn’t over, but things pretty much seem like business as usual since the FCC reclassification.